AOpen video conferencing solutions completes your communication needs, bring you closer to people in business or recreational environment. We provide you with various H.324 compatible accessories. A color CCD camera with USB, Mini-DIN or RCA interface, microphone, video capture card and EasyAxcessTM ( Video Conferencing software ) are included with the VC 324 Lite/324 Pro. 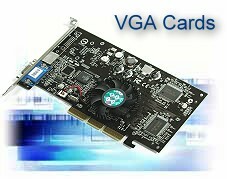 VC324 Pro provides 56K modem and sound card combo solution. More over, VC324Pro include Supervoice (fax/modem, speakerphone utility) and SVD games to give you a complete, high-performance video conferencing solution. AOpen AGP-bus graphics accelerators feature state-of-the-art performance and trend - setting options. Our video cards work flawlessly with any system of standards-based components and they are fully compatible with every major operating system and graphics application. The GeForce 4 is the newest of the gaming cards. Accelerate your gaming to the future. 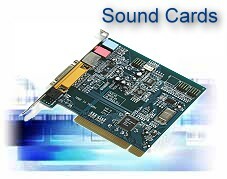 AOpen sound card works in perfect harmony with game, educational, Web, audio, and video phone applications. Add new dimensions to games and multimedia with realistic 3D wavetable sound.